Speaking of Research try to keep on top of the latest statistics coming from governments around the world. This post will look at the 2016 statistical releases in Estonia, Northern Ireland and Spain. 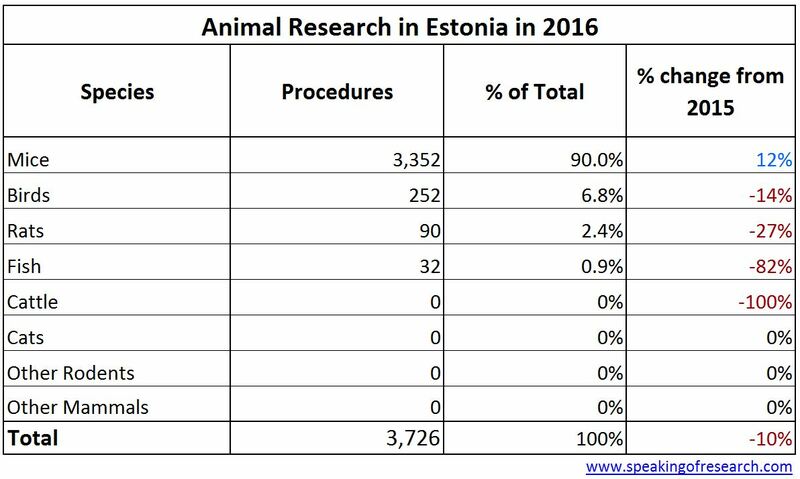 According to figures released by the Ministry of Rural Affairs, Estonia conducted 3,726 procedures on animals in 2016, a 10% fall from 2015. The number of all species used, with the exception of mice, dropped. 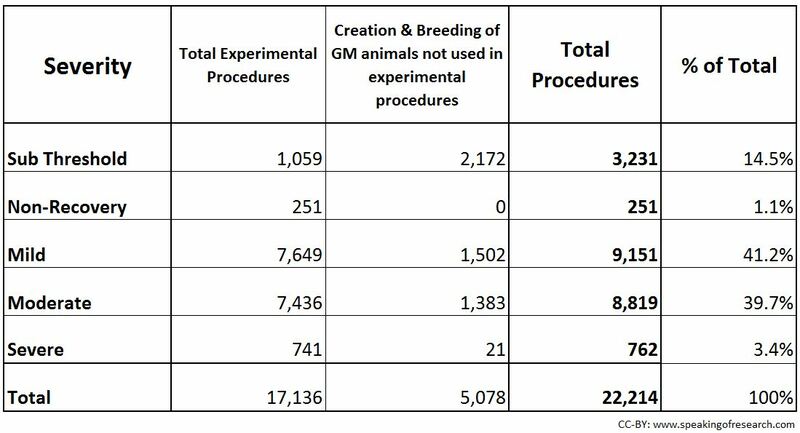 The biggest was the change from 566 experiments on cattle in 2015 down to 0 in 2016. There was also a big reversal in last year’s rise in fish use. No dogs, cats or primates were used. While mice, rats, birds and fish are the most common species in most countries, it is surprising to find a country where these species account for 100% of animals used. Severity is slightly higher across the board than in previous years, however, given the small numbers involved these numbers are likely to vary more from year to year. All 403 severe studies were conducted in mice. 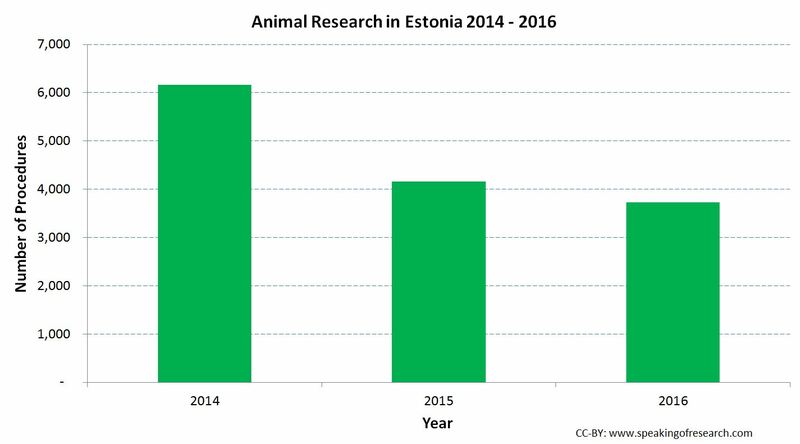 Trend over time in animals used in research in Estonia. Click to Enlarge. 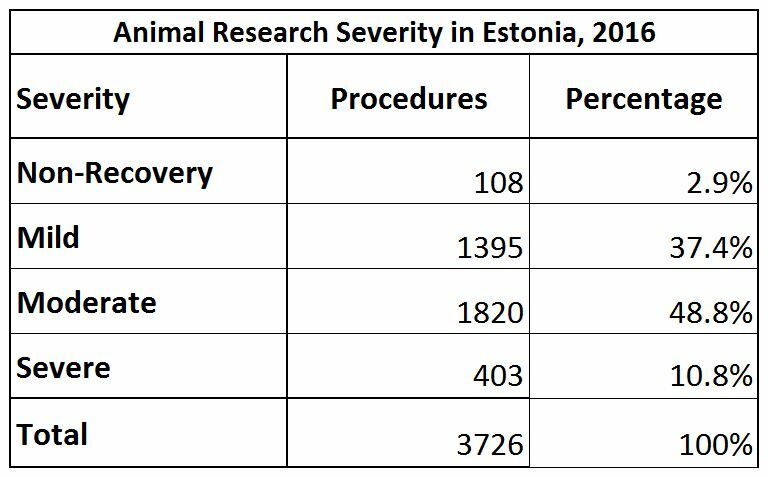 There is a downward trend in Estonian animal studies, however, given the small numbers and limited data it is hard to draw any conclusions. At 3,726 procedures, a large university in the UK or US might conduct 50X more experiments than the whole of Estonia. Mice were the most common species used in Estonia, Northern Ireland, and Spain. 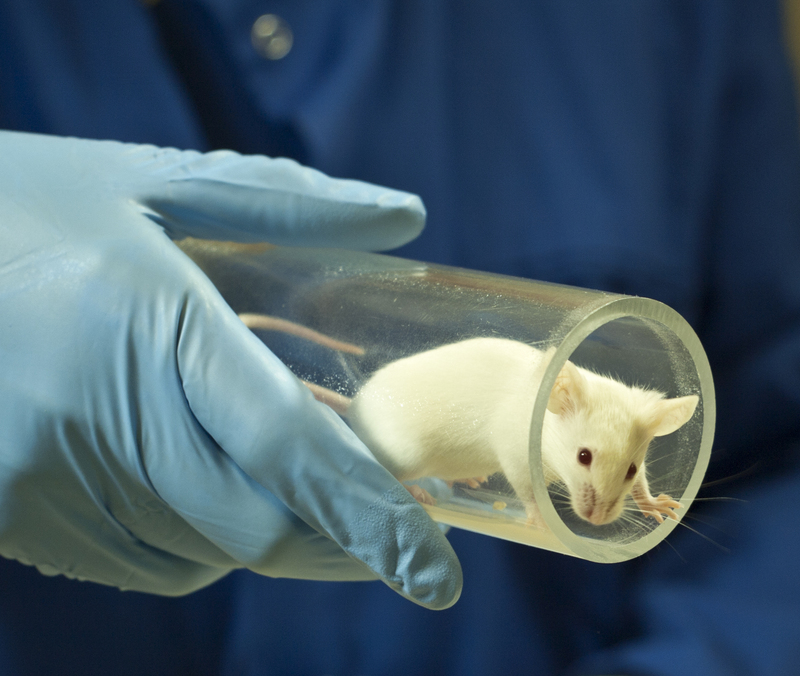 Northern Ireland reports its animal experiments separately from the rest of the UK. While the UK Home Office regulates (and compiles statistics for) animal research in Great Britain, the Department of Heath of Northern Ireland regulates for Northern Ireland. On 20th November they reported that 22,214 procedures were conducted on animals in 2016, this was down 1.3% from 2015. This accounts for approximately 0.6% of all animal research in the UK. A 7% rise in mice is offset by falls in farm animals and birds. Among other mammals, there were 155 procedures on cats, and 73 procedures on dogs, though all these studies were either for translational/applied research into “animal diseases and disorders” or regulatory quality testing of veterinary medicines. There were no studies on primates. Overall the most common species used were mice (82.3%) followed by farm animals (10.5%), and rats (2.6%). The combined severity statistics show around 57% is subthreshold, non-recovery or mild, 40% is moderate and 3.4% is severe. This gives a higher proportion of moderate or severe studies than in the rest of the UK. Nearly all severe experiments were on mice. 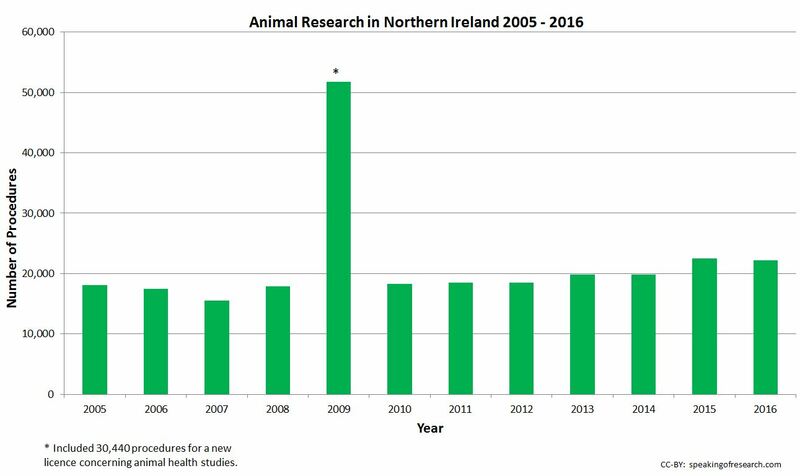 Trend over time in animals used in research in Northern Ireland. Click to Enlarge. Animal experiments have risen around 20% over the last decade, from about 18 thousand to a little over 22 thousand. In 2009 there was a one-off rise as a result of 3o,000 procedures on birds to address animal health concerns. 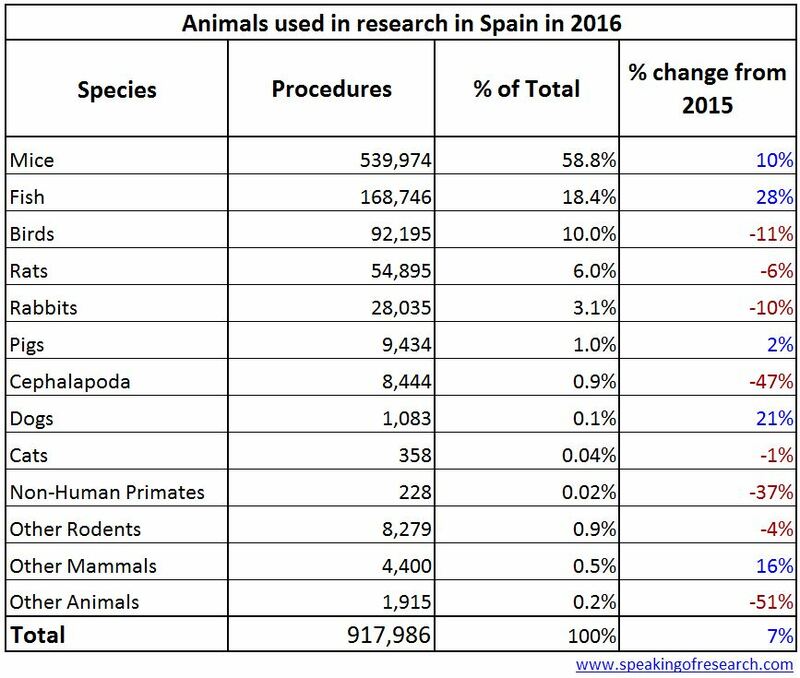 The Ministerio De Agricultura Y Pesca has published statistics showing Spain conducted 917,986 procedures on animals in 2016, up 7% from 2015. There were moderate rises in mice (up 10%) and fish (up 28%), with drops in birds (down 11%) and rabbits (down 10%). After a large rise in the use of Cephalalopoda (e.g. Octopuses, squid and cuttlefish) in 2015, the number has dropped back to its 2014 levels. Overall, 93% of procedures were conducted on mice, rats, birds or fish – about average in Europe. 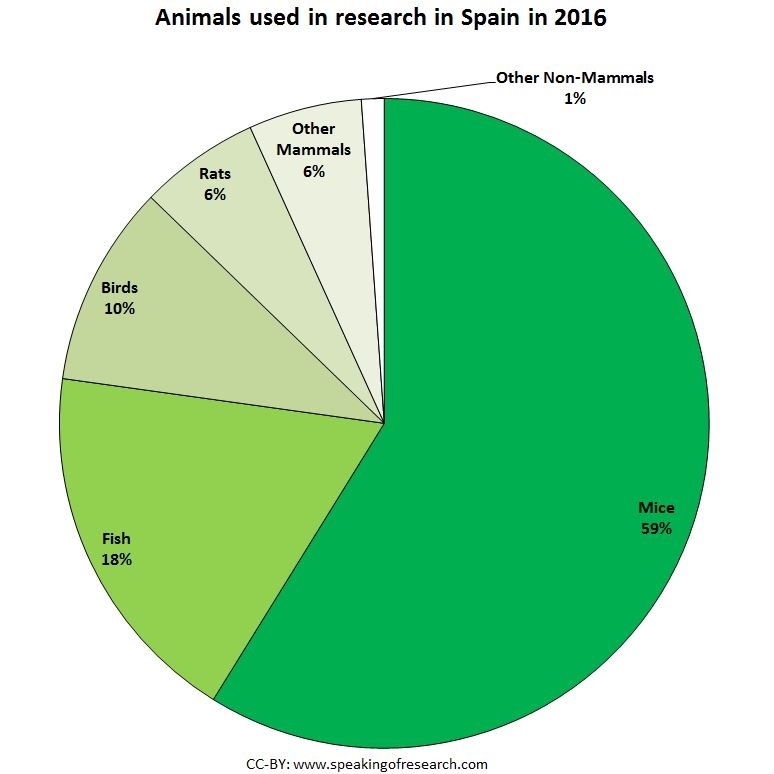 Dogs, cats, and primates together accounted for less than 0.2% of research in Spain. According to the retrospective assessment of animal suffering (mandated by the EU Directive), we can see 58% of experiments were mild or non-recovery (where the animal is anaesthetised before surgery and not woken up). 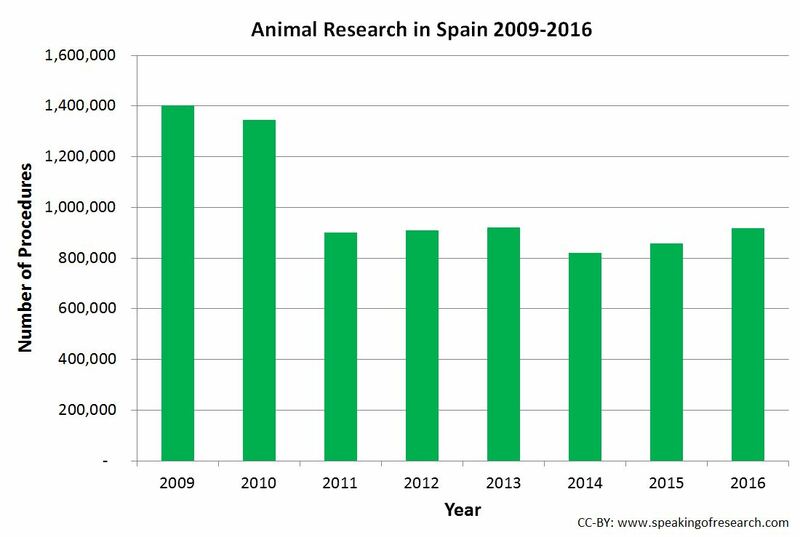 Trend over time in animals used in research in Spain. Click to Enlarge. The number of procedures in Spain has crept up since 2014, but is still over 40% below it’s historical highs in the late 2000s. Most studies were for Basic research (48%), followed by applied/translational research (29%), and regulatory research (17% – the “animal testing” bit). 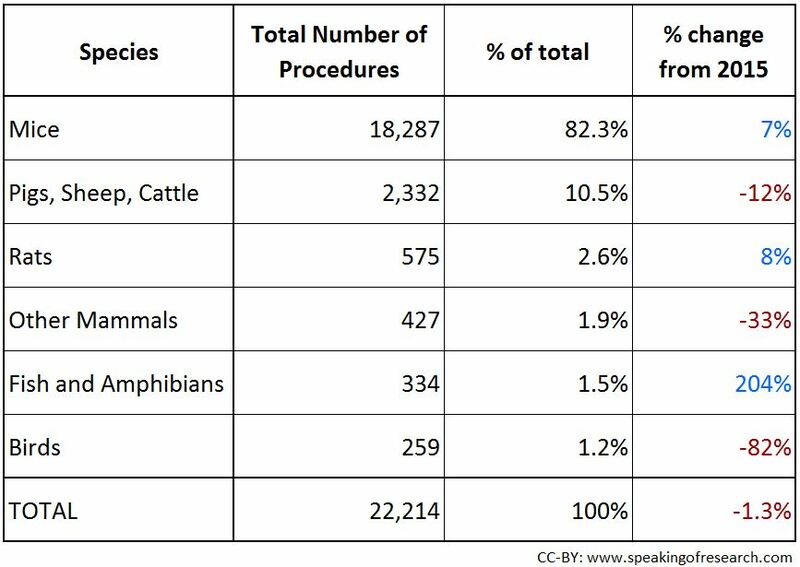 The 917,896 procedures were made up of 909,475 procedures on animals used for the first time, and 8,511 procedures on animals that were reused. Posted on November 21, 2017 November 24, 2017 by EditorPosted in News, StatisticsTagged animal research, ANIMALES EN EXPERIMENTACIÓN, Estonia, northern ireland, Spain, uk. Previous Previous post: Research Roundup: Studying deadly cancers in dogs, low calorie diet and type 2 diabetes and more!